Spain on Thursday said fresh elections were the ‘only way out’ for Venezuela after opposition leader Juan Guaido claimed the presidency amid anti-government protests. ‘The scenario has changed radically, there have been deaths. We have to prevent the situation from worsening. This undoubtedly demands a process of intervention to guarantee the only way out which is elections,’ said Spanish Foreign Minister Josep Borrell. The United States, Brazil and other countries on Wednesday endorsed Guaido’s declaration in repudiation of President Nicolas Maduro, as more protests rocked the economically strapped country. Guaido’s announcement came amid violence that has killed at least 13 people this week, according to a toll by the Venezuelan Observatory of Social Conflict. 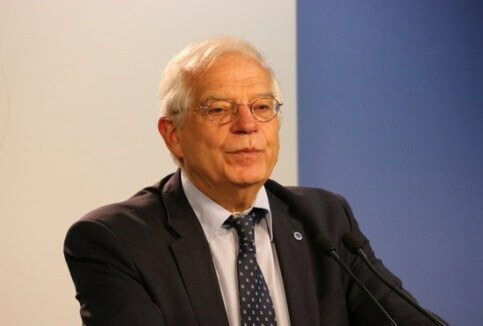 When asked if Spain would also endorse Guaido’s declaration, Borrell reiterated that ‘what is important’ is that Venezuela hold fresh elections. He said some 200,000 Spanish nationals live in Venezuela, a former Spanish colony.